Classic Funding Group Australia Review: Variety of Loans, Any Good? 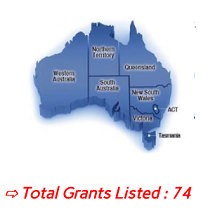 Classic Funding Group was founded in 2013 in North Sydney, NSW. It is a privately held business whose focus is on financing for businesses for equipment, invoice financing, vendor finance, debtor finance as well as clean energy finance solutions among others. This review of Classic Funding Group will help you better understand your financial options when your business is short on cash and in need of funds. Classic Finance Group is able to fund more quickly than traditional banks and requires less documentation to process loan applications. Awards and Recognition: None found. Classic Funding Group offers classic finance options available at other short term financial institutions. They offer different loans for businesses that one might not find all under one roof that such as: Equipment Finance, Vehicle Finance, Vendor Finance, Debtor Finance and Integrated finance. Equipment finance allows businesses to quickly apply for funds to purchase equipment for their businesses when they do not have the capital to front the purchase for the new equipment. Vehicle finance allows businesses to apply for funds to purchase new vehicles for their fleet when they do not have the cash on hand to make the purchase through traditional financing methods. Vendor finance allows businesses to offer financing option to their customers. This allows customers who know they need time to pay for an order to make payment arrangements before an order is made. This works to help the client with their purchasing power and the Classic Funding Group customer because they get 85% of their invoice paid upfront. This helps relieve cash flow problems for both parties. Debtor finance allows Classic FG customers to sell them their unpaid invoices to turn their invoices into cash on hand now. This proves helpful in cash flow management for Classic Funding Group clients and their customers. Integrated finance which helps Classic Funding Group customers with not only working capital, but also debt restructuring, acquisitions, management buy-outs, capital intensive businesses, and top up finance. Classic Funding Group was started in 2013 in North Sydney NSW and has expanded to also have a location in Brisbane, QLD. They have between 11-20 employees, much less than industry leaders like Capify or even newcomers such as Sail Capital. While there is little to be found about the company online, they have been operating for 5 years. The reviews for Classic Funding Group are not stellar, there are only a few of them out there. Customers are far more likely to provide a negative rating than a positive rating. In 5 years of operations they have received a total of 7 reviews. One review on Facebook is positive, but provides no feedback, this can be because the client was satisfied and felt that giving a 5 star rating was enough or it could be because someone was trying to boost the Facebook rating who has interest in it having a higher ranking. The negative review is from one client who was unhappy that there was a prepay penalty associated with her loan in 2017. Sole trader: Yes, Classic Funding Group will work with Sole Traders. Established business: Yes, Classic Funding Group will accept any established business. Business Purchase: Yes, Classing Funding Group will finance business purchases. Maximum Loan Amount: There is no listed maximum amount that Classic Funding Group will finance. Suitable for businesses of all sizes, inc. bad credit. Easy and smooth sign up process. Very well known and respected. Very quick to respond to applications. With or without securities. Cash advance, vehicle/machinery loan, and line of credit available. 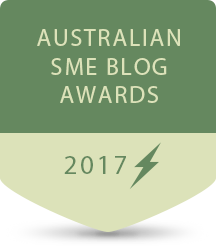 2nd Fastest Growing Company in Australia by SmartCompany, 2016. Normally doesn’t accept Bad Credit Borrowers.